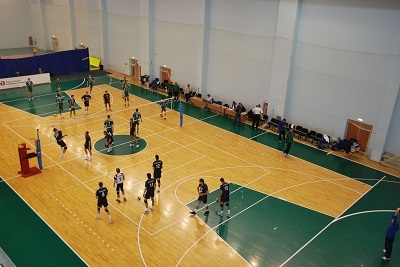 Training Hall complex area of ​​1 500 square meters is divided into two areas. 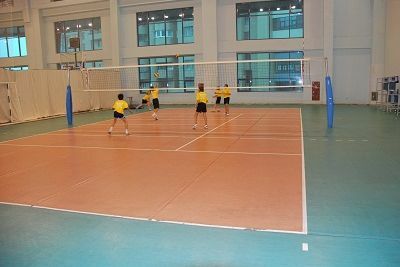 Small equipped is for volleyball, and a large can train basketball, mini football and representatives of other sports that require the playing hall. 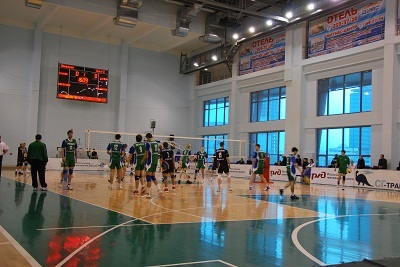 Training can be held simultaneously at two venues! For the convenience of athletes in training complex taken eight team locker rooms, as well as coaching 8 rooms.